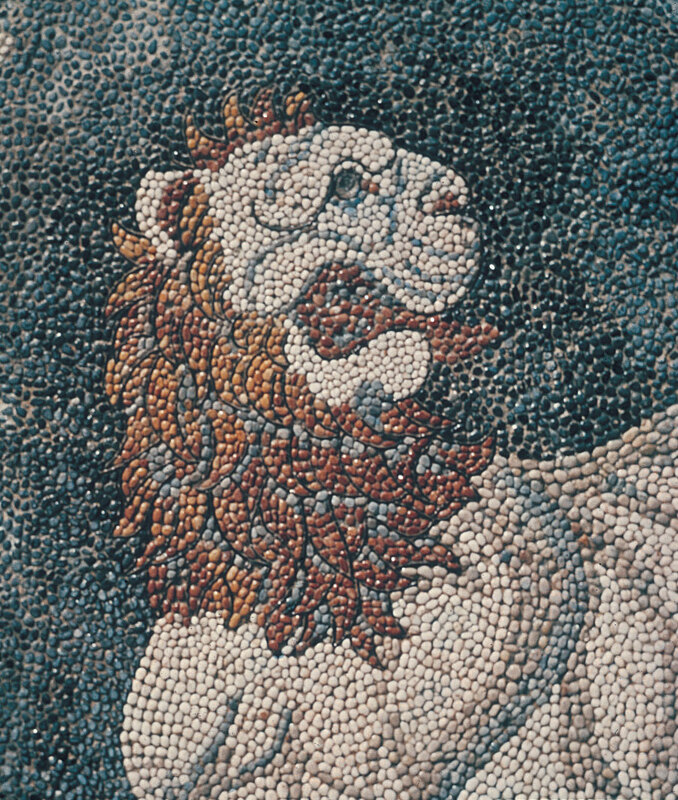 A mosaic made of rounded, naturally occurring pebbles (as opposed to shaped tesserae). Lion Hunt (det.). 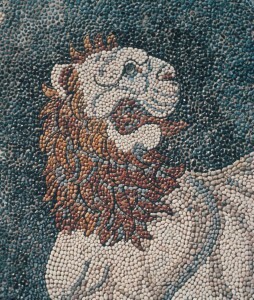 Pebble mosaic. Ca. 300 BCE. Archaeological Museum of Pella, Greece.